The family and I are getting ready to celebrate my 40th (and my husband’s 42nd) at Disney’s Aulani Resort & Spa in Hawaii. I can’t even BEGIN to tell you how excited we are to be taking a trip as a family and to be headed somewhere OTHER than a doctor’s office. And the best part? It will be a birthday I will never, ever forget. We’ve never been to Hawaii and don’t have the slightest idea where to begin…I am sure we’ll spend most of our time at the resort, but we do have a car rented for a day to explore the island a bit. I would LOVE you recommendations on what we can do that day we have the car. Keeping in mind I can’t walk more than a mile and the sun wears me out fairly quickly. So we’re hoping for some sort of marine preserve where the kids can see sea turtles and a fabulous place for lunch. So please, share your ideas with me as this is a once-in-a-lifetime experience for us! And it’s only a few weeks away!!!! We had so much fun at Disneyland the other weekend I’ve been entirely too caught up in reliving the moment, I forgot to tell you. But never fear! There is STILL TIME to enjoy what is, arguably, one of the best times to hit the parks: Halloween! This year we had triple digit weather for the annual Vest family trip and I have to admit, it slowed us but did not stop us from having the time of our lives. Two scooters this time around (per usual we rented from an outside vender, have them drop it at the bellhop of the Paradise Pier) leaving our bags with the bellhop and awaaaaaaay we gooooooo! Ok we were a bit slow. My husband was getting used to his scooter and I was just trying not to STICK to mine from the heat. We went straight over to California Adventure for a little Family Media Day party (thank you Disney! *) where we were treated to fun and games and goodies and fast passes! 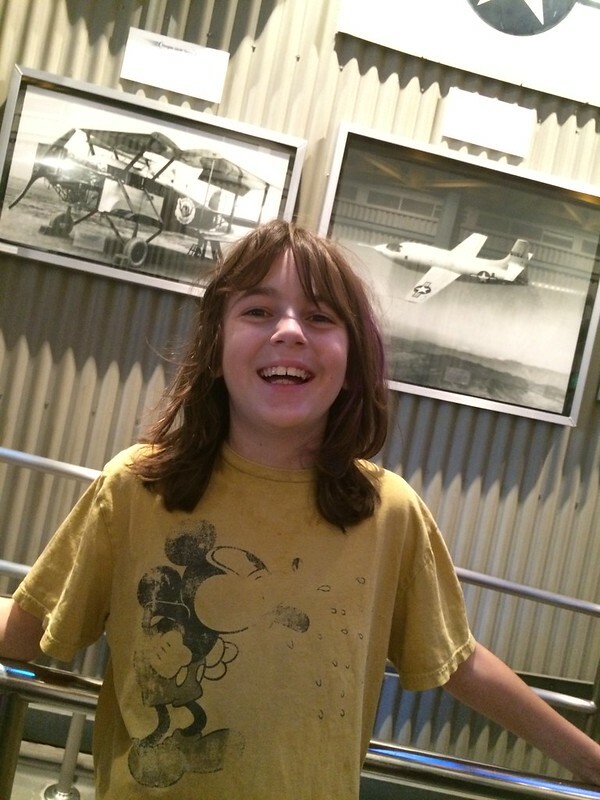 Then we decided we needed some Soarin’ – where my son could gaze at the many pilots who came before him and I could see and smell the wonders of our home state. 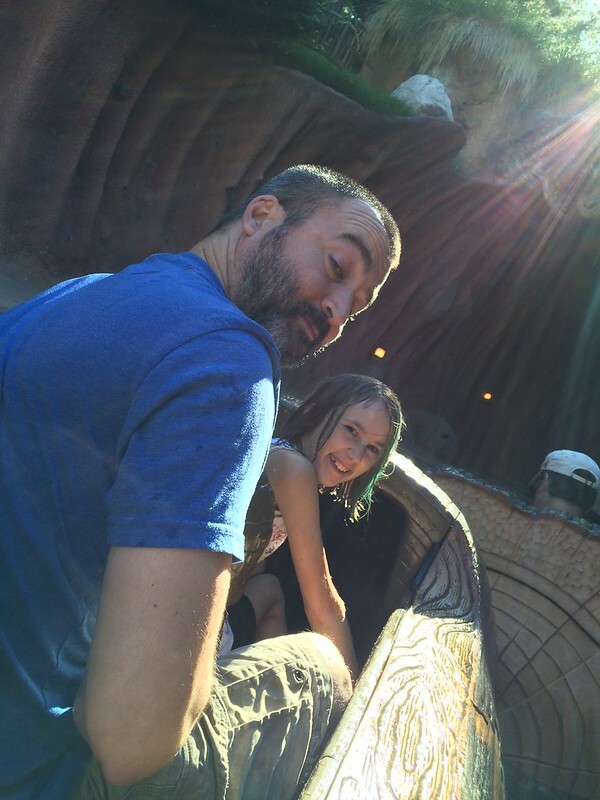 ….before getting entirely soaked on Splash Mountain. Well worth it on a hot, hot day. Keeping mind we were still dealing with triple digits, we hits few more rides, and had a great meal at Storyteller’s Cafe, and then promptly crashed in the hotel room. The hotel room with my very, very favorite beach ball pillows. Seriously, I love those pillows. Why? 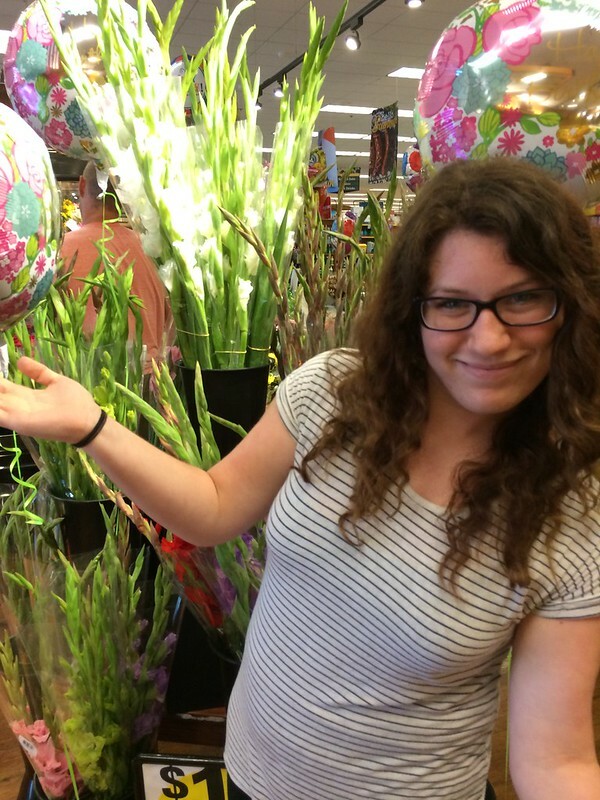 I have no idea…they are just stuffed beach balls. But the first time we ever stayed at this Disney resort the kids were just over the MOON about the pillows, so whenever I see them I get all misty. Disney does that to some of us. The rest of the park experience didn’t last long for two of us. One little girl, and one boot wearing, scooter driving man were very, very comfy laying on those beach ball pillows and watching tv. 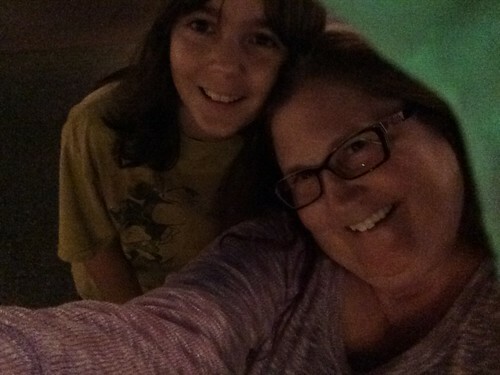 So my son and I decided we’d go see the fireworks and spend some much needed one-on-one time out in the parks. I have to admit, my son and I had a great time. We ended up spending most of it in the arcade in Tomorrowland where he played every game in sight, and I concentrated on the classics like Frogger and Pole Position. We also stopped in a store on Main Street I’ve always wanted to spend some time in, but never quite made it in until then…Houdini’s Magic Shop. Apparently the whole Halloween theme was entirely taking over. My son was mesmerized by just about EVERYTHING inside, including the ‘spirit’ lights of which he just had to bring home…. It honestly was one of those nights with my first born I will never forget. He even kissed me on the cheek before we snuck into our hotel beds and thanked me for some great Mother/Son time. Due to my delayed posting, it’s my understanding Mickey’s Trick-or-Treat Party is already sold out for the season-but call daily for cancelations. You never know when you might get lucky. If you are looking for a little magic, this is the place where it happens. So call, seriously. I also can’t recommend enough the Happiest Haunts tour. Yes, it’s a few extra bucks, but SO MUCH FUN for anyone from 1 to 100. We walked (or in our case drove) the park with our tour guide who will show you all the hidden and not so hidden treats throughout the lands…AND, if you are lucky, you just may be joined by an extra ‘spirit’ guide. Someone you might have to get back to his/her special place of residence…let’s just say it’s a spooky mansion…befoere the park closes. Your tour will include tricks, treats, and sweets and even the VIP treatment on some of the season’s special rides. That ALONE makes it worth the money. There really is nothing like Fall at Disneyland…except for maybe the winter holidays at Disneyland. But between the two comes something very special this year: my 40th birthday at Disney’s Aulani resort in Hawaii. I’m not kidding. Want to come? Email me for details. …and for that, I promise not to be late. My daughter pretty much could care less about all the Disney Princesses and I’m not happy about it. Go ahead, lecture me. I know, I know…I should be thrilled, right? She doesn’t want to be saved by the Prince (although, to be fair, not many Disney Princesses are saved by the man these days) she doesn’t want to wear the big dress and she could care less if she inherits a kingdom. Can I just say, for the inner 9-year old in me, WHAT THE HELL???!!!! I want a castle and a title and a TIARA and I don’t CARE if it’s anti-feminist or anti-whatever. Actually, none of those things are inherently anti-feminist because I WANT them, or for what they are…they are just a bit old fashioned maybe. There was a time when my little girl would be all excited about the Bibbity Bobbity Boutique at Disney World or Disneyland and spend WEEKS trying to decide which dress and hairstyle she would choose…I swear. It happened once. Or twice. Maybe with my encouragement. Ok maybe with a lot of my encouragement. And now? Now with Halloween around the corner and this AMAZINGLY FANTASTIC Queen Elsa dress she’s all ‘I want to be Grumpy Cat and hiss at people’ when she goes trick or treating. I am so very proud of the young woman she is becoming. I truly am. I didn’t expect her to be just like me, or even half like me. I guess I just thought most little girls dreamed of being Queens. A vault of crown jewels. A really big closet filled with amazing dresses. Did I mention the CROWNS? I’m HAPPY to skip the whole Prince thing…doesn’t she want the power? The adoration of citizens of the country she rules? THE MANY TIARAS? 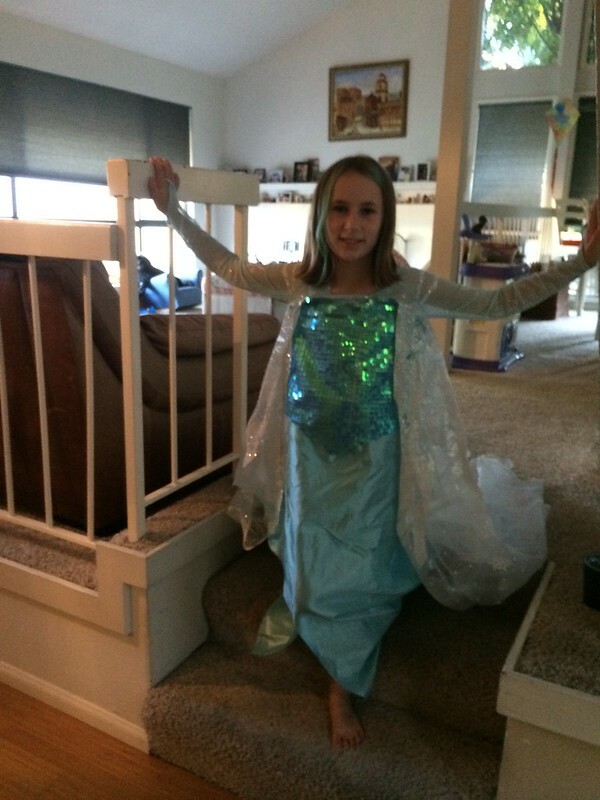 Do they make Queen Elsa dresses in a size .. errr… Mom? Ever want someone to love something as much as you do? To feel that feeling you feel when you feel allllllll the feeeeeelllls? Ok that sounded creepier than I meant. Let me try again. 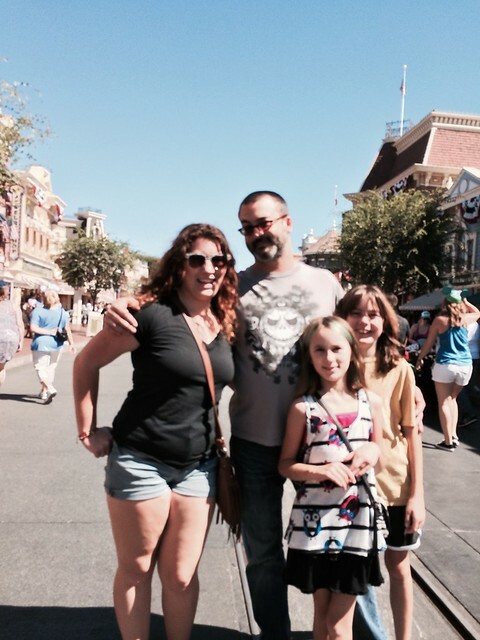 I had the privilege of taking my Goddaughter to Disneyland for her 1st ever visit. I wasn’t sure if she liked anything Disney past “childhood nostalgia” when I began planning our trip, I just knew that in times of crisis, or hurt, or pain, or in this case…the death of her Nana, my Aunt…Disney is my family’s escape. It helps us leave reality behind and just focus on each other. Focus on fun. Focus on laughter and love and family. But even bringing Birdy to Disneyland for that escape was going to pose a bit more of a challenge than I had realized. You see my childhood is wrapped up with her Mom, my Aunt, my other cousins, my Grandmother, my Mom and brother…in fact there isn’t a single part of Disney that I don’t associate with the family who was around as we watched every movie, as we got on every ride, as we were given special souvenirs by our grandmother. As my Aunt drove all of us kids down in her station wagon, my Mom passing out toys and gifts as drove over each state line. In other words, this wasn’t just an ordinary trip to Disney*. It was a heavy trip. One that had to bring the magic, and bring it big. Her first time. Both of us still grieving. Memories surrounding me to the point of near suffocation. Uncertainty of a different life awaiting her at home. Was I just setting us up for disappointment? I mean, one trip to a theme park can’t solve all our problems. But it might make things feel a bit brighter for awhile. Birdy & the family as she sees Sleeping Beauty’s castle via Main St. USA for the 1st time. 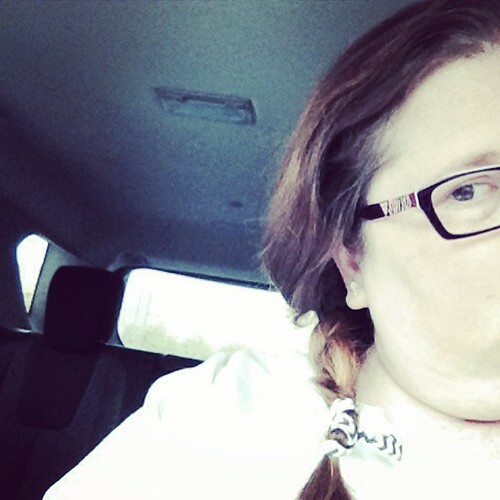 Her favorite movie is Peter Pan, guess what her favorite ride was? 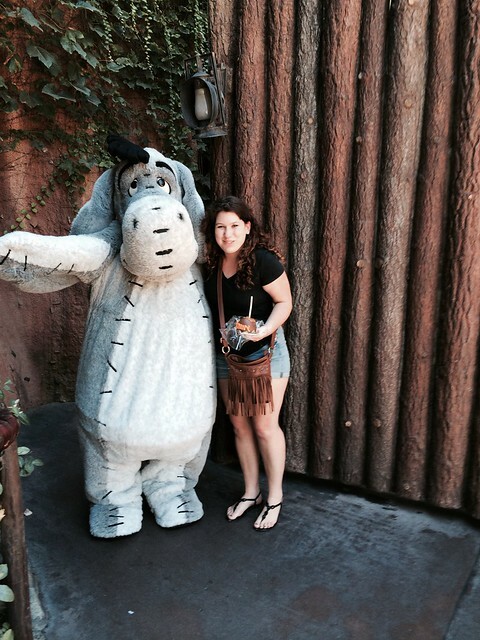 Birdy meets Eeyore. Shortly after Tigger snuck up behind her and raspberries her in her in the ear. It was pretty darn funny. Sneaky Tigger! 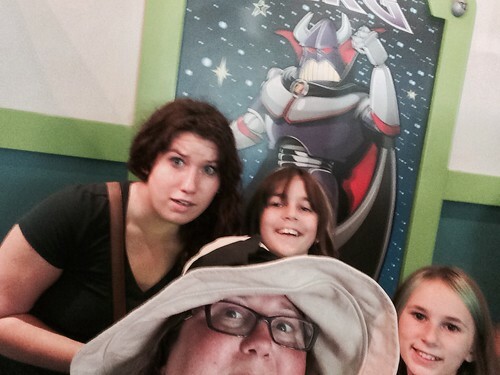 We combined forces to try and beat Aaron at Buzz Lightyear’s ride…we lost, again. The night ended as it should, with warm churros and fireworks and classic Disney songs that gave you goosebumps while memories flooded back. We slept soundly, snuggling newly bought Pooh & Piglets, Marie & Lady, even a special pin with Mickey marking my son’s first flight lesson was given a place of honor on the bedside table. As everyone quickly drifted off to Neverland I was convinced reality was left behind, if just for a little while. Everyone seemed content. Full. Happy. And I exhaled. Mission accomplished. Although something tells me I had a little help from above. But that’s why we go…it’s where magic happens, and healing begins. Birdy not only found the second star to the right, she pulled it into her heart and will keep it there, always. Besides, when you wish upon a star, makes no difference who you are, anything your heart desires will come to you. *Thank you Disneyland PR for media access to the parks for our family. My Goddaughter is visiting California this summer…and she has just told me she’s never been to a Disney theme park. I want to run in one of these runDisney things so bad it hurts. While I’m getting better, it’s still a long road to ‘running’Land. So Im working out in the pool. I’m swimming and doing my doctor prescribed physical therapy.. blah blah blah. But really, I’m dreaming about picking out some cute costume and running across a finish line that includes Disney characters. Hey, we all have our motivations. Mine is a Disney run. Disneyland has announced a Star Wars run in January. 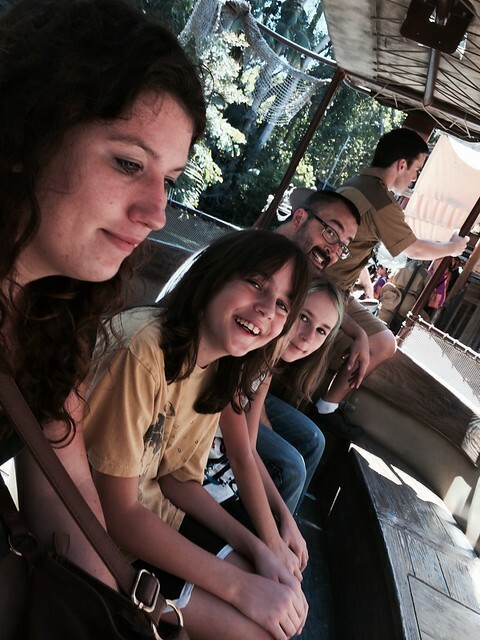 I have this vague recollection about a trip we took to Disney World with my family…but in my younger years. So that would have meant my Grandmother, who lived in Central Florida, would have been involved or taken us. I remember becoming entirely in love with this maroon/pink umbrella, or parasol. It had my name on it- and believe me, back when I was a little girl I was one of the only ‘Erin’s’ around. So being able to get something with my name on it was a very big deal. But it wasn’t just that it had my name on it, there were also pretty flowers. Hand painted. I can vividly remember it being my pride and joy for so very long after the trip. I would twirl it around, laying it on my shoulder like I was Scarlett taking a stroll on a warm Southern day. Or I was holding it high in the air, pretending the wind would carry me away and just like Mary Poppins it would magically, and gently set me down. It made me feel special, but more than that…it made me feel fancy. There was something about Easter time and wearing a bonnet and having a parasol. We had always taken those trips in the Spring. So years ago on a trip to Disneyland I spotted the stand where I could see an artist recreating what I had so, so loved as a child…those beautiful parasols. I quickly ordered one for my daughter, who…being maybe 18 months at the time quickly destroyed it. 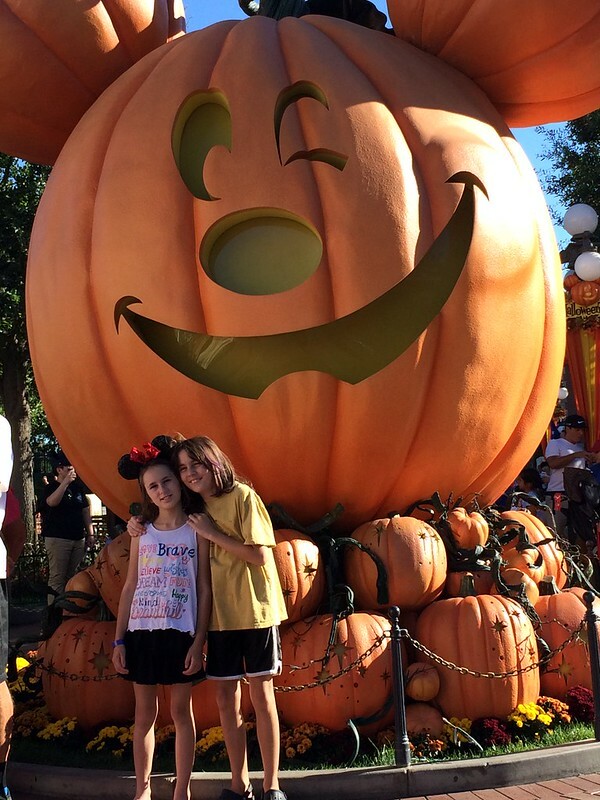 Then came our latest trip to Disneyland for the Social Media Mom’s Celebration. I knew it was finally the right time to try this again, and even if my daughter showed little interest or destroyed it once again…I was getting MYSELF one too. So purple for Hala and the very same maroon/pink for me. Our names in cursive. The flowers just perfect. And just like that I was transported back to feeling fancy in Florida and then back home in Michigan. 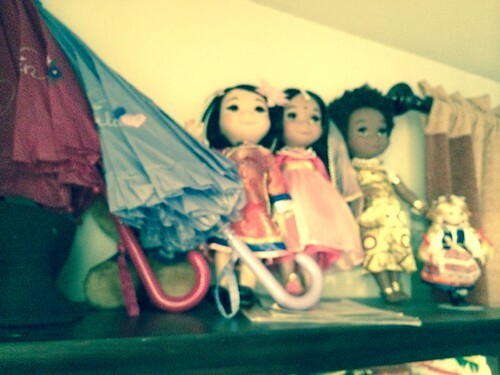 It now makes me feel fancy at our home in California where I’ve added it to my growing Small World doll collection. (China, India, Kenya, and a very old one with a key from Poland. The ride was my grandmother’s favorite and my mother’s) All memories that just make me smile every time I enter my bedroom. They take me back to when something as simple and wonderful as a hand painted umbrella could make a young girl dream of bigger things. Of how I would need a larger one when I was an adult because of course only fancy ladies used them…of how my grandmother and mother had a hand in making sure I finally had something with my name on it because I was never included in the tourist keychains or A-Z named orange bobble heads from the roadstop gift shops. No, I had something even better. *I was invited to attend the DSMM Celebration. I paid my own conference fees and received gifts during the conference. All opinions, experiences and thoughts are my own. I’m laying in bed, recovering from chemo and I swear the #1 thing keeping me from going stir crazy are the memories from our awesome time at Disneyland thanks to the Disney Social Media Moms Conference. I got to hug friends. I got to spend time with my family. I even was inspired to remember why I blog. 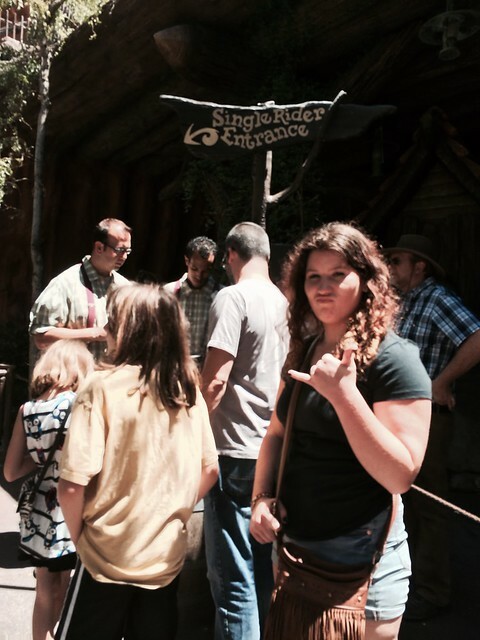 While I get the feeling you don’t want to hear all about what my family did at the parks (although I might tell you anyway- hint, we LOVE CARS LAND) I did want to share some of the things I learned about Disney and Disneyland that you may not know. You know, not the usual stuff. Because you can get the usual stuff anywhere. First of all, I rented a scooter from Apple Scooter to get me around the conference, the hotel, and the parks. It was a significant savings over renting once at the gates and it allowed me to move freely in our Disneyland Resort hotel, the conference area, Downtown Disney, and Disneyland and Disney California Adventure. I just plugged the battery pack into the scooter each night in our wheelchair accessible hotel room and it was ready to go each day. The bell stand had my scooter (already dropped off by the company) upon arrival and I returned it to the bell stand upon check out and arranged for Apple to pick it up. In the parks, despite worrying about the new disability procedures, I could not have been more impressed with the cast members. As the kids and I arrived on day one I was a bit worn from the drive and last minute packing but I had two little ones BEGGING for a few rides before a family dinner event. Unsure of how well I felt and still shaky operating the new scooter, I took them into Disneyland and over to Star Tours where they could not have bent over backwards to help me more. I was kept out of the sun, as requested, and allowed to stay seated while we waited the few minutes to head up and board the ride. Clearly they had forgotten the last time I came through Star Tours with a scooter and took out an entire display of Star Wars Legos with the front end of my beast on wheels. Vroom Vroom! In case you were unaware, your medication should not be a problem at the parks or resort. I even found sharp disposal bins in each bathroom! Small tip: this time around we tied a balloon at about adult head level on the back of my scooter. It seemed to help people from accidentally bumping into me in the crowds, however when we re-tied the balloon the next day…a bit lower…it simply hit all of us in the face over and over. So, get a balloon but keep it higher! Then, after a great show at the Big Thunder Ranch Barbecue along with some yummy grub (and again, cast members helping me with plates and table seating) we took in the fireworks from our hotel window, listening to the music via our special Disney tv station, and awoke in the morning with me heading off to the conference downstairs and the kids and my husband to the parks for some more fun. Around lunchtime I regrouped with my family as they decided to go swimming (who can resist a resort with a monorail slide into the pool?) and we rested a bit before more conference sessions and park fun for them and dinner together before the Wonderful World of Color show at DCA. …and we all slept very well. Small tip: Always, always, ALWAYS try and make reservations for ONE MEAL per day inside the parks. While you can snack and stand in line here and there, you always end up HUNGRY and having to wait a long time for a meal is no fun when everyone is tired from walking. Many of the more popular park restaurants take reservations months in advance. I never leave for a Disney trip without investigating our dining options and making reservations for each day knowing we can work all our Fast Passes, snacks, and in room dining groceries around that day’s reservation. The next day it was nothing but family and we did it all. From Pirates to Cars to shops we didn’t skip a thing- and didn’t have to because I had my scooter and plenty of motivation. Granted we left a before the fireworks and I spent more time building a bear/dog/animalwithclothes than any one nearly 40years old should ever spend time doing…but we did it as a family. And THAT is what is important. Small tip: if one of the Downtown Disney stores is packed, try going on your way to the parks and having them send your package to your hotel room or hold it until the end of the night. Less crowds, no bag holding. This goes for the stores INSIDE the park too! I would be remiss if I didn’t clue you in on a little perk we received as part of the conference. Not only did we have Toontown all to ourselves for a party one night, we had CARS LAND to ourselves for a runDisney event and breakfast (for those of us who can’t walk or run) on the last morning there. I can’t put into words what it’s like to walk into the park empty and ready just for us. Magic seems like the right word here, but it was beyond magical and something my family will never, ever, forget. But as I said, you probably don’t want to hear all about the things we got to do that you didn’t….so I’m going to give you another small tip on this front. Small tip: if staying at a Disney resort property, utilize their special hours in the morning for the parks. Each day they open up a bit early just for you. Which means if you want to really ride Sally and Lightening in the best ride EVAH…use that park’s special hours and get there early and go for it. 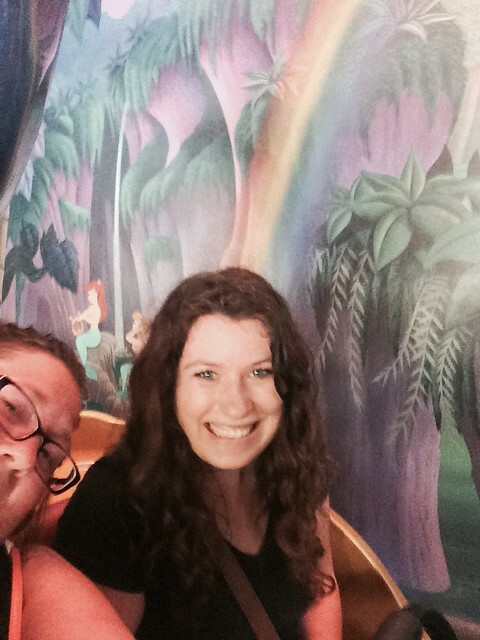 We got to ride a few times in a row and it was, by far, one of the biggest highlights of our trip. You are part of Radiator Springs and you can feel it in your soul. As I continue to recover from the chemo that makes me better, I’ve been so inspired by runDisney and its commitment to GIRLS in sports, my new goal is to actually get well enough to participate – and Disney has MANY you can choose from. This blew me away. I had not idea. And of course it made us love them even more. 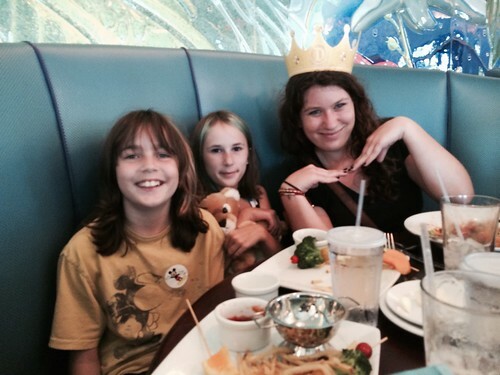 Want to be part of the Disney Social Media Moms Celebration? Well, you might have a chance as the fun is hitting the road. Take a look at the cities and dates where Disney will be spreading its special brand of magic. Then go ahead and fill out the form! If chosen, I can promise it will be well worth your time. Because nothing can be more important than friends, family, and coming together to be inspired by that very special brand of pixie dust only Disney can create. They have a new line called ‘Magic at Play‘ by Jumping Bean which is a bit small for my growing kids (infant, toddler, boys 4-7, girls 4-6x) but we did manage to find my youngest a cute Minnie sweatshirt and Mickey and Minnie t-shirt from a different line at Kohls and it arrived JUST as we were packing up to leave. Needless to say it dipped below 70-degrees here in Southern California (THE HORROR) so she got a ton of use out of the super cute sweatshirt. My favorite part? The bow on the back. Well, you are in luck- because Kohl’s gave me a $50 gift card to give YOU. Everyone needs some Disney magic in their life from time to time, so leave a comment below (comments are moderated so give them some time to show up) and I will choose a winner at random so you can check out the new Disney-Kohl’s partnership for yourself! *I use a number generator to choose the comment that wins. You must leave your email address so I may contact you for your shipping information. If you do not answer me in ten business days I will move on to the next in line. I reserve the right to choose the winner via this random method and will provide proof of random number generator upon request. Only one entry per person. Open to U.S. residents only. Must be 18 years or older. Blah blah blah you get the idea. Entries must be received by April 23rd 11:59pm Pacific. No purchase necessary, void where prohibited.